I have always loved smoothies, but it’s hard to find tasty ones that don’t have added sugar or a ton of calories. 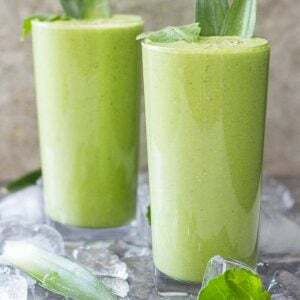 This delicious Pineapple Kale Smoothie with Greek yogurt only has just 200 calories per serving and all the sugar is from the pineapple and veggies. What could be more perfect for quenching the thirst after a hard workout? You can use the base of Greek yogurt, kale, and cucumber for a lot of different healthy smoothies. This Pineapple Kale Smoothie is one of my favorites, but you can use raspberries or mango instead of the pineapple if you’d like. Just make sure that whatever fruit or berry you use has a strong flavor with a bit of sweetness to balance the tartness of the yogurt. The perfect time for me to enjoy a fruit smoothie is right after a workout. This is the time where I can use the fruit sugar to fill up my energy (glycogen) reserves and the protein from the Greek yogurt to help my muscles recover and grow. Because the smoothie only takes a few minutes to make, I can be enjoying it in the sun less than 5 minutes after coming home from a workout. Knowing that a delicious pineapple kale smoothie is waiting for me at the end of my workout is all the motivation I need! You don’t blend ice into this smoothie (it would get too watery), so make sure that all the ingredients are cold when you start blending. You can also drop a few ice cubes into the smoothie just before drinking it or serve the smoothie glasses in an ice bucket. Just make sure that you serve it COLD! Speaking of cold, have you tried the Sugar-Free Strawberry Lemonade Popsicle recipe I posted last week? We have been eating a lot of those lately to keep the heat at bay and they are delicious! The only ingredient we haven’t talked about yet is the hemp seeds. I love that they add both texture and a bit of healthy fat to the smoothie, but you can leave them out if you want to. They aren’t necessary for the smoothie to taste great. 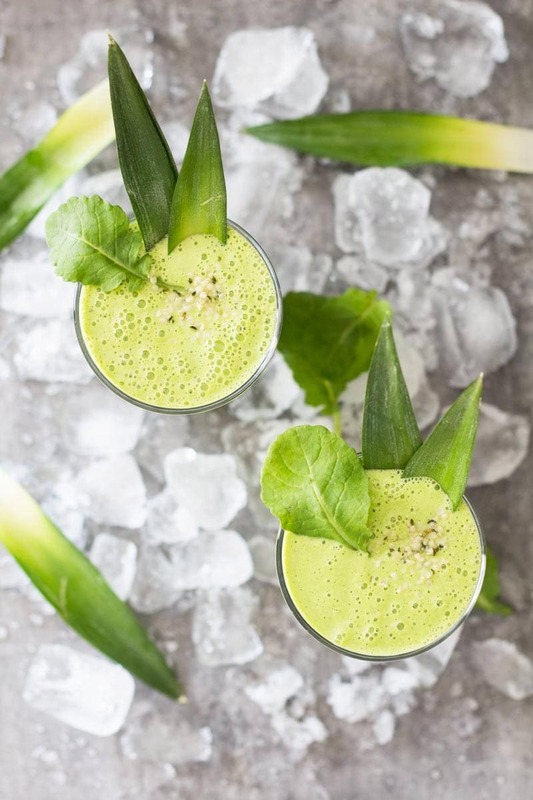 Next time you are tempted to drink a cold soda in the summer heat, try this cool pineapple kale smoothie recipe instead. I promise that it will hit the spot! If you prefer a vegan smoothie after your workout, you can also try my high-protein Vegan Peanut Butter Smoothie or my Vegan Blueberry Smoothie. They are not quite as thirst quenching as this one, but they both taste deliciously naughty while being full of healthy ingredients! 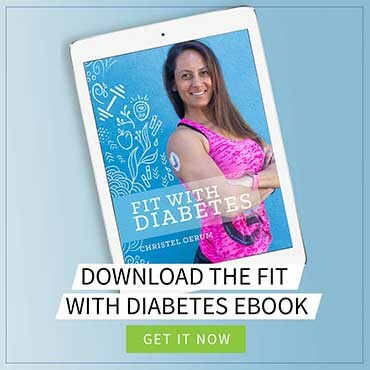 For even more great smoothie recipes, check out this roundup of the best low-carb smoothies for diabetics! 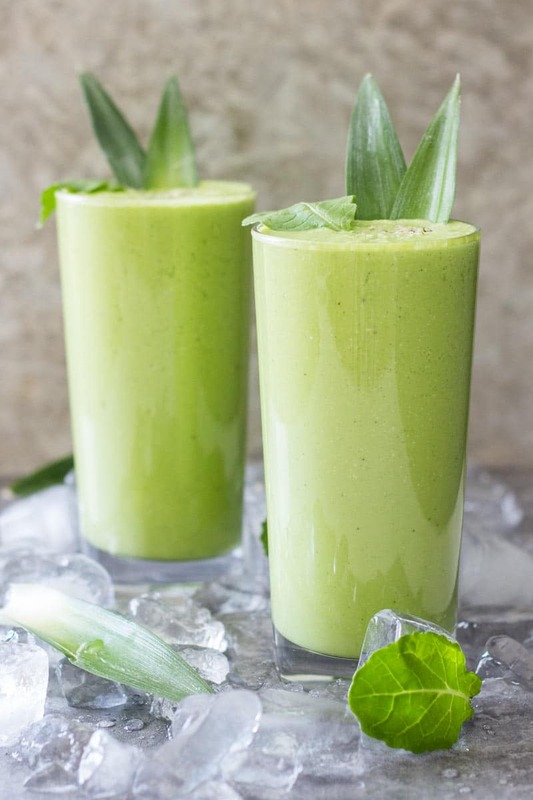 This delicious sugar-free Pineapple Kale Smoothie only has 200 calories for a large serving. Perfect for a workout shake or to cool off in the summer heat. Put all the ingredients in a blender (I use a NutriBullet) and blend until the smoothie has an even and silky consistency. Find yourself a spot in the sun and enjoy! I have made this, it’s a nice smoothie. It has a very low calorie and a good amount of protein. I have made this with both pineapple and mango and both were great. 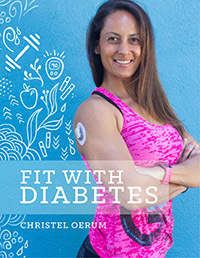 Thank you for everything you do for us with diabetes!